2015 report of Fundació Adsis / Image: Fundació Adsis. Annual reports don’t always have to be cumbersome and boring. Infographics enable us to visualise and explain in a more agile and simple way all the data and information we want to highlight. Infographics are especially useful to illustrate texts that, despite containing important facts, may be dense or contain too many data. Highlighting the most relevant elements using images and graphs can make it easier to read sections like financial management, the origin and use of financial resources or the places where our projects are taking place. There are several tools and applications, some of which are free, that will help you create infographics in an intuitive and attractive way. Infogr.am and Piktochart are two of the best known ones. 2015 report from Casal dels Infants del Raval. Annual reports are used to explain the projects carried out, where they are carried out and the outcomes of these projects. It is important to not only provide figures. Users and those participating in the projects are not figures! Reading their testimonials and/or statements or learning about their stories through short interviews are good ways of grasping in a more direct way what is the impact and the value of our work. 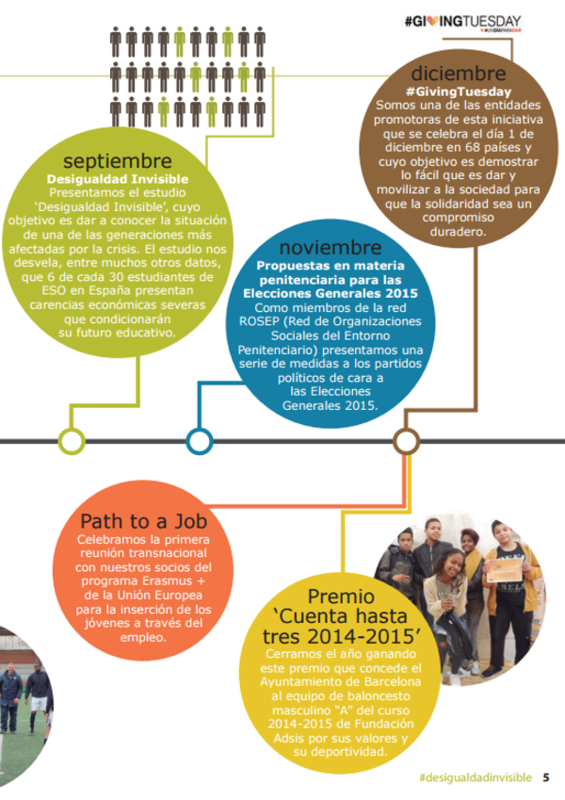 2015 report from Fundació Comtal. There are different ways of providing a quick glance into the facts that are most relevant in original ways or using images that will provide us with a snapshot that is easy to follow. The year in 12 photographs (one photo per month) or using several twits are just a few of the ways to do this. Annual reports allow us to introduce the people that are the board members, the technical team, and also finding out their motivations, their job…this can help us bring the organisation closer to others, while knowing who’s who in an organisation is also a good exercise of transparency. 2015 report from Enginyers Sense Fronteres. 5. How about using a video report? Besides having a longer written report, some organisations also prepare a video report. This makes it easier for it to go viral on the social networks, while allowing you to summarise in just a few minutes the most relevant activities of the year and can easily catch people’s attention. 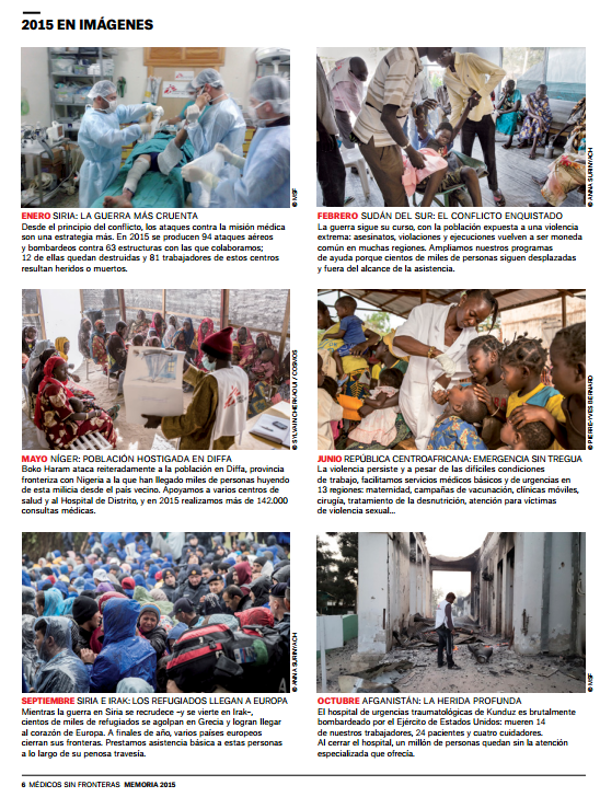 2015 report from Arrels Fundació. The international NGO held an independent investigation to document specific incidents after the poll, where 900 people were injured.